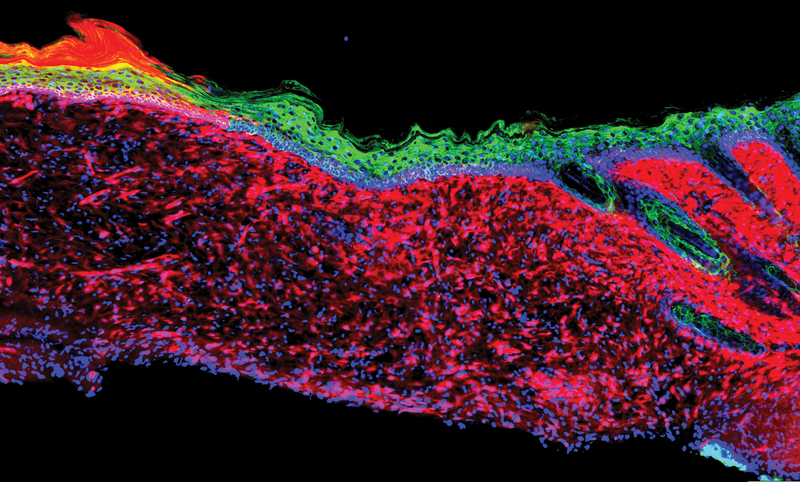 ON THE MEND: Scientists recently reported success in helping heal ulcers in mice by reprogramming skin cells (green) in the wounds. 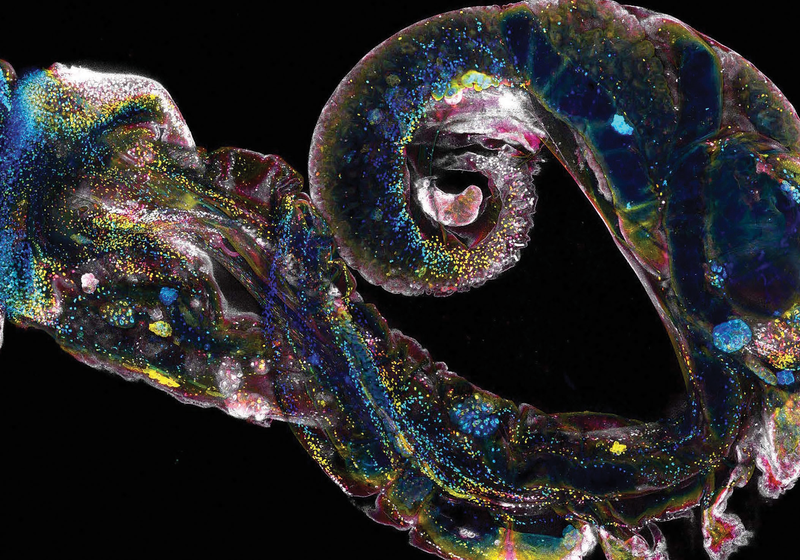 UNCOVERED: This micrograph shows a snail, with its shell removed, that is infected with schistosome parasites (blue). 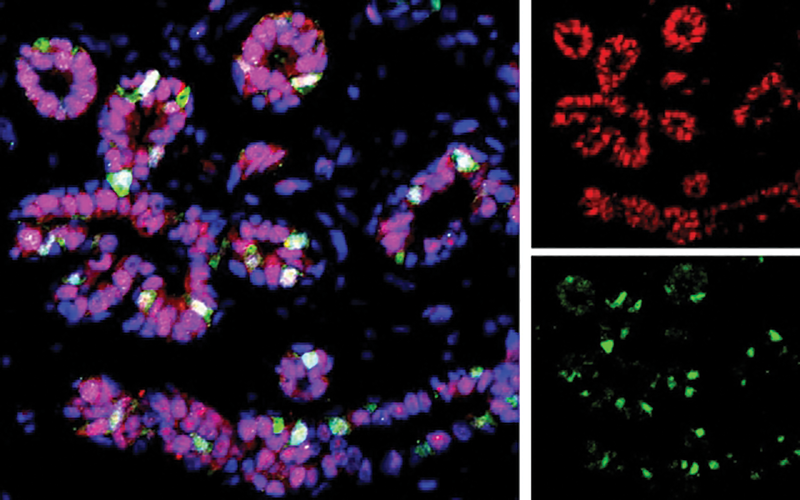 NEW KIDS ON THE BLOCK: This year, researchers identified two distinct cell types, present in the inner layer of human breast epithelium, labeled in green and red, with the nuclei appearing blue. 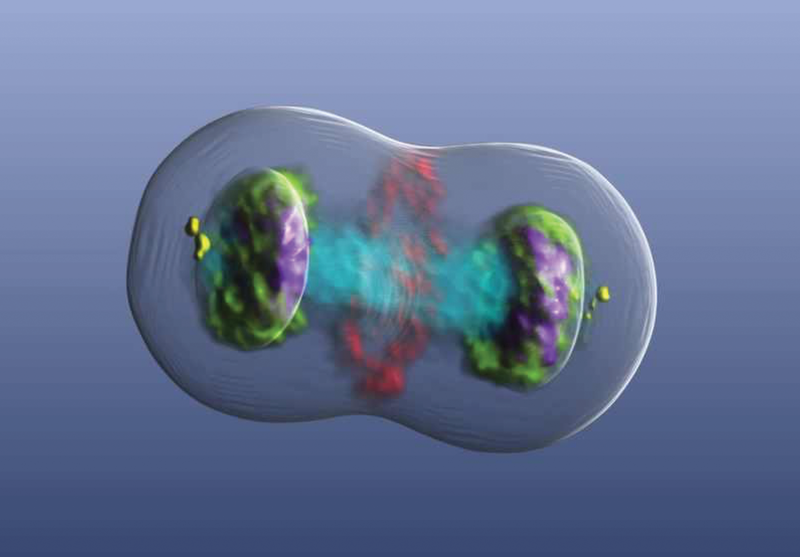 BREAK APART: The recently developed Mitotic Cell Atlas captures the interaction between up to seven protein types in dividing cells. PARASITE STOPPED IN ITS TRACK: Researchers in Australia have discovered a novel way to halt Toxoplasma gondii infection by disabling a protein that drives the parasite's replication.